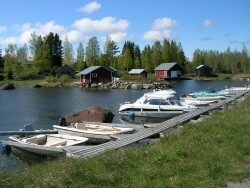 Svedjehamn is suitable for pleasure craft and small boats. Vikarskat fishing harbour and guest jetty. A waste collection station, WC and water tap can be found in the harbour. Replot fishing harbour has a guest jetty with 14 places (even for overnight stays). A service house (wc, shower, sauna and washing room), water tap and waste collection station are found at the harbour. Cafe Arken sells fuel during the summer(1.6-15.8). 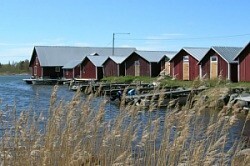 Klobbskat fishing harbour. A café-restaurant and a small grocery shop are found close to the harbour. Fuel selling, waste collection station.